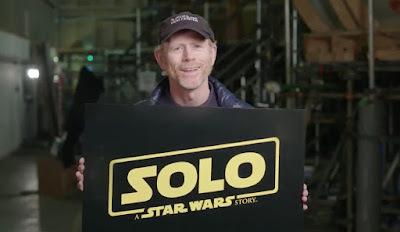 The score for Solo is composed by John Powell, though legendary Star Wars composer John Williams did contribute a new theme to the film which Powell then incorporated into his sore. The first day of scoring on Solo was March 10th, you can see pictures from that day here. Solo: A Star Wars Story hits theaters on May 25th, 2018 and stars Alden Ehrenreich (Hail Caesar!) as Han Solo, Donald Glover (Atlanta) as Lando Calrissian, Emilia Clarke (Game of Thrones) as Qi'Ra, Woody Harrelson (True Detective) as Beckett, Phoebe Waller-Bridge (Fleabag) as L3-37, Thandie Newton (Westworld) as Val, and Paul Bettany (The Avengers) as Dryden Vos. The film is directed by Ron Howard (A Beautiful Mind), with a script by Lawrence Kasdan (The Empire Strikes Back) and his son Jon Kasdan (The First Time).